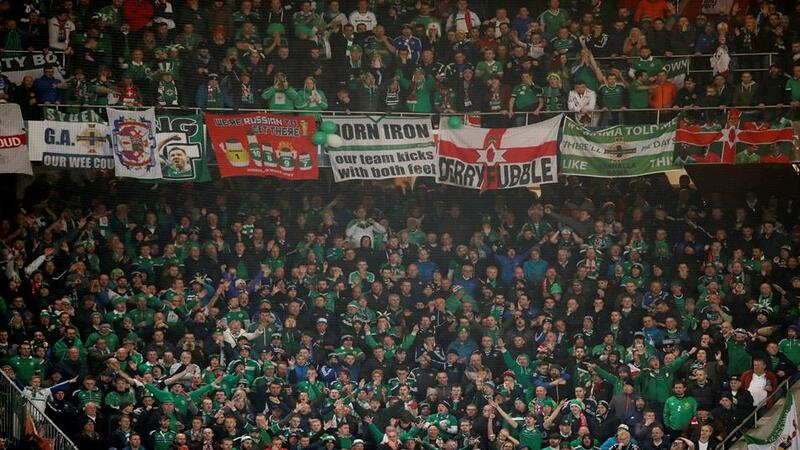 Will Northern Ireland fans be celebrating after their match with Belarus? "The visitors kept clean sheets in all six of their Nations League matches." Northern Ireland got off to a flying start to the Euro 2020 qualification campaign on Thursday night, when they beat Estonia 2-0. As Group C also contains Germany and Holland, it was important that the Irish got off to a good start. With the Dutch hosting Germany on over the weekend, this match is an opportunity for Northern Ireland to potentially go top of the group, before their away matches with Estonia and Belarus in the summer. Michael O'Neill's side have struggled to score goals of late and that streak looked to continue in the first-half against Estonia, as they found themselves unable to turn their dominance into an advantage. Their two second-half goals from Niall McGinn and Steven Davis should hopefully take some pressure off the side. Sunderland striker Will Grigg pulled out of the squad before the game with Estonia, after suffering an injury. Gareth McAuley and Gavin Whyte did not feature in that match and remain doubts. Belarus got off to the worst possible start to their Group C campaign, when they were thrashed 4-0 by Holland on Thursday. With the Netherlands currently one of the most improved sides in the international game, that result is by no means a disgrace. They had previously been on a six match unbeaten run in the Nations League (W4 D2) that had seen them win promotion to League C.
Belarus finished above of Luxembourg, Moldova and San Marino to win Group 2. As a reward for securing promotion, they are guaranteed a place in the play-offs, which realistically is their most likely route to Euro 2020. Their aim should be to find some form during this qualification process, in order to give themselves a chance in the two-legged knockout tie. Can Ireland keep second successive clean sheet? Northern Ireland are the [1.75] favourites, with the draw at [3.4] and Belarus at [5.8]. It's a decent price for a Northern Ireland win, but it should be possible to squeeze out some extra value. Belarus have failed to find the net in three of their last six games and with Northern Ireland having kept a clean sheet in their opening qualifier, you can back the hosts to win to nil at [2.4]. Belarus may have conceded four against Holland, but it's unlikely that Northern Ireland will find goals so easy to come by. The visitors kept clean sheets in all six of their Nations League matches. Under 1.5 goals could land at [2.6], while a Northern Ireland win and under 2.5 goals is [3.1].